The Department of Health shall determine the number of dispensary licenses based on a guideline of 1 for every 500 patients, adjusted annually, based on the patients’ residency. There shall be at least one dispensary on every county with the exception of Kalawao county. Beginning on January 1, 2017, there shall be no less than 26 dispensaries licensed in the state. In the event that an island in the state lacks a single licensed dispensary by January 1, 2017, a dispensary that is licensed and established on another island may petition the department to allow an owner or employee of such dispensary to allow an owner or employee to deliver medical marijuana products to a qualified patient or caregiver of the island that lacks a dispensary; provided that the owner or employees shall at all times retain possession of the medical marijuana products until their are delivered to the patient or caregiver. The Department of Health shall determine the number of medical marijuana production center licenses to issue based on a ratio that producers will have between 500 to 1,000 plants at any one time. Producers may acquire, possess, cutlivate, manufacture, deliver transfer, transport no more than 1,000 plants any one time. Beginning on June 1, 2016, the Department of Health shall offer a minimum of 30 producer licenses. The Department of Health shall issue medical marijuana product manufacturer licenses to licensees who have a written agreement or contract with a licensed dispensary. This contract shall, at a minimum, set forth the total amount of medical marijuana obtained from a licensed dispensary. A licensed medical marijuana products manufacturer shall not contract with more than five different medical marijuana dispensaries for its supply of medical marijuana. A licensed medical marijuana product manufacturer may not have more than five hundred medical marijuana plants on its premises, except that the Department of Health may grant a waiver in excess of 500 marijuana plants based on consideration of factors such as nature of the products manufactured, existing business contrats with licensed medical marijuana dispensaries for the production of medical marijuana products, and the ability to contract with licensed medical marijuana dispensaries fo rhte production of medical marijuana products. A licensed medical marijuana product manufacturer may sell its products to any licensed medical marijuana dispensary. Patients, caregivers, producers, manufacturers, and dispensaries shall be permitted to transport medical marijuana within Hawai‘i and between the Hawaiian islands in accordance with security requirements to be established by the Department that include but are not limited to: use of seed-to-sale tracking software and labeling of medical marijuana; limitations of amounts to be transported based upon whether it is a patient, caregiver producer, dispensary or manufacturer; utilization of additional security measures for transport of medical marijuana plants and/or manufactured products between producers, manufacturers, and dispensaries. All types of medical cannabis and related products such as food, tinctures, ointments and extracts, as well as seeds and plant material. The latter shall be for patients and caregivers who grow their own. All products shall be in opaque, child resistant packaging with all necessary labeling including but not limited to: concentrations of THC, CBD, and THCA; media used in extraction of active ingredients as applicable; the name and/or ID number of the producer; and a disclaimer that product is only for licensed patients. Such packaging should not be appealing to children or others who may mistake the product for non-medicinal purposes. There shall be no advertising or marketing to children. Licensed medical marijuana dispensaries, production centers, and medical-marijuana product manufacturers shall be subject to announced and unannounced inspections of its operations by the department at least annually. Annual audits, reports and requirements shall be determined by the DOH. Dispensaries, producers and manufacturers shall comply with County zoning ordinances. No dispensary, producer or manufacturer shall be located within 500 feet of a public schools etc. (Use existing language for drug free zones). Applicants/licensed medical marijuana dispensaries: $20,000 to apply; $18,000 refunded for an unsuccessful application. The existing DOH Medical Marijuana Registry Special Fund shall be amended and renamed the Medical Marijuana Registry and Regulation Special Fund with subaccounts for the medical marijuana registry program and the medical marijuana dispensary program. Fees from qualified patients and caregivers shall be deposited into the medical marijuana registry program subaccount. Fees from applicants and licensees of medical marijuana production centers, medical marijuana production manufacturers, and medical marijuana dispensaries shall be placed into the dispensary program subaccount. Assuming enactment of bill by June 2015, an 18-month timeline could mean producer and dispensary licenses issued by June 2016 and first dispensary to open in January 2017. Assuming enactment of bill by June 2015, a 24-month timeline could mean producer and dispensary licenses issued by January 2017 and first dispensary to open June 2017. Note: More that is prescribed in statute can shorten the rulemaking process. Modified process for rulemaking process (ie. exemptions from portions of chapters 91 and 92 for this initial rulemaking phase) can also shorten the rulemaking process. The Legislature shall establish a Medical Marijuana Dispensary Program and provide the Department of Health with sufficient funds and staff positions for FY16 and FY17 to establish the dispensary program. After that date, the program should be funded through dispensary revenue. The Legislature shall provide 5 exempt FTE positions to implement this program. Encourage dialog among relevant state and federal agencies to identify processes and policies that ensure privacy of patients and compliance of patients, caregivers, producers, manufacturers, and dispensaries with state laws and regulations related to medical marijuana. This recommended number for dispensary licenses is based on the current number of approximately 13,000 registered patients statewide. The Policy Subcommittee noted that most other states with dispensaries allow for one dispensary for every 500-1,000 registered patients. The Policy Subcommittee further noted that a range of 15-30 licensed dispensaries would allow for roughly 500-1,000 patients per dispensary. This recommended number for producer licenses is based on the current number of approximately 13,000 registered patients statewide. Working group no. 1 on Nov. 18, 2014, noted that if producers are limited to 500 plants/producer, 78 producer licenses will need to be issued. If producers are limited to 1,000 plants/producer, 39 producer licenses will need to be issued. Based on Colorado medical marijuana law, C.R.S. 12-43.3-404 (2014). Download the Task Force Recommendations as a doc. House Concurrent Resolution 48 (relating to Medical Marijuana Dispensaries) requested that the College of Social Sciences Public Policy Center convene and facilitate a Task Force to "develop recommendations for the establishment of a regulated statewide dispensary system for medical marijuana." The resolution designed the Task Force with representation from the House, the Senate, relevant state agencies, the medical profession, law enforcement, the Drug Policy Forum, ACLU, a caregiver and two medical marijuana recipients. This website will provide the Task Force, and the public with information about the Task Force’s activities, when its meetings will be held, its reports and relevant information and documents about the issues of establishing and managing medical marijuana dispensaries. House Concurrent Resolution 48 (pdf, .5mb) - Requesting the convening of a task force to develop recommendations for the establishment of a regulated statewide dispensary system for medical marijuana. U.S. Department of Justice “Update to Marijuana Enforcement Policy” Aug. 29, 2013. U.S. Department of Justice “Formal Medical Marijuana Guidelines” Oct. 9, 2009. 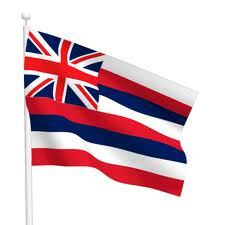 Founded in Maui, Hawaii in 2005. Contact us with any medical marijuana questions. PWT can help you.